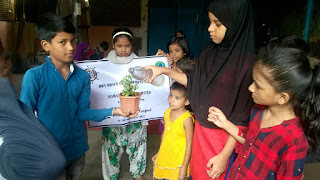 5-June-2018, Mumbai: The Don Bosco Development Society (DBDS), Mumbai organized an awareness session for the children of Ashok Nagar slum on the occasion of the ‘World Environment Day’ to create awareness on environment issues. 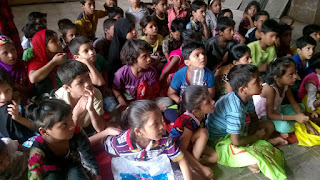 Around 60 children and their teachers from the study classes participated in this event held under the aegis of ‘MGL Disha Project’ supported by Mahanagar Gas Ltd. 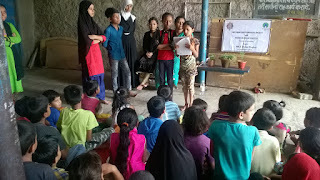 The study class children gathered in the community hall at 10.30 am and their teacher Ms. Shubhangi spoke to them about the deteriorating environment and the need to save, preserve and conserve environment. 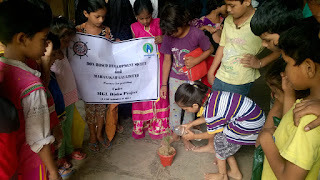 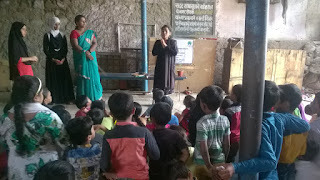 Children learned about saving water, saving forest, cleanliness, stop using polythene bags etc. 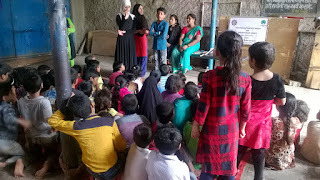 Mrs. Zarina Khan (Staff – DBDS) made the logistical arrangement for this programme and also proposed vote of thanks at the end.